Discount Magic - Clatter Box (Wood). 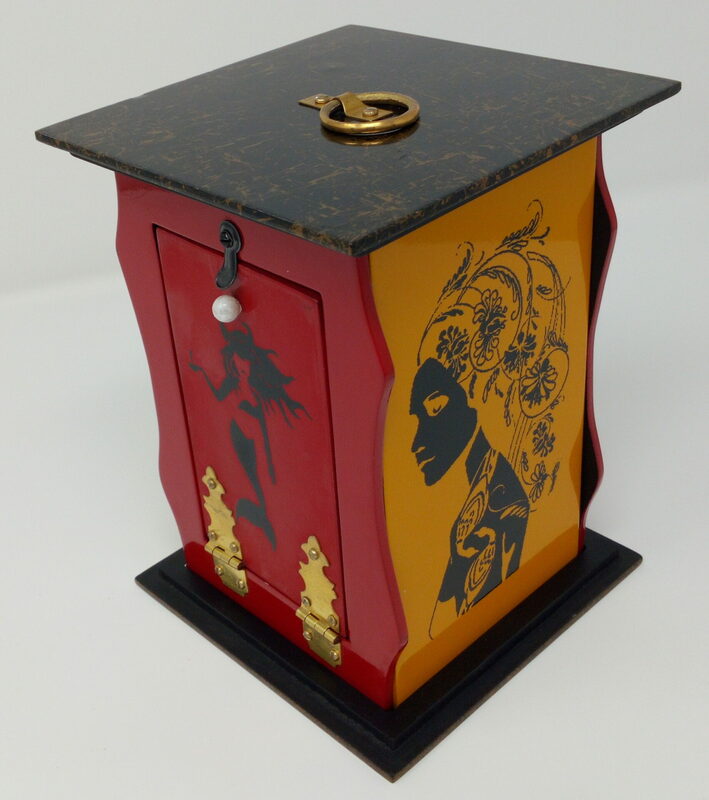 The performer displays a brightly coloured wooden box with two doors on its front and back. The front door is opened and a silk is found inside the box. the performer draws out the silk from the box and showing the box empty closes the door. The performer vanishes the silk by putting the silk into the Change Bag or any other method. The performer then lifts the box by holding the ring provided on top of the box. He tries to open the box. Suddenly the box dismantles itself into parts and all the parts drop on the table with a clatter leaving the top part to hang from your finger. Surprisingly the vanished silk is found hanging from the top part of the box.